Blend 10 tablespoons butter with 1 cup of sugar. Add flour, baking powder, salt and pumpkin pie spice. Blend in the milk and mix together thoroughly. If the dough does not mix fully (ie, some dry material is left) add milk in small splashes to get all ingredients damp and sticking together. Grease desired baking surface. 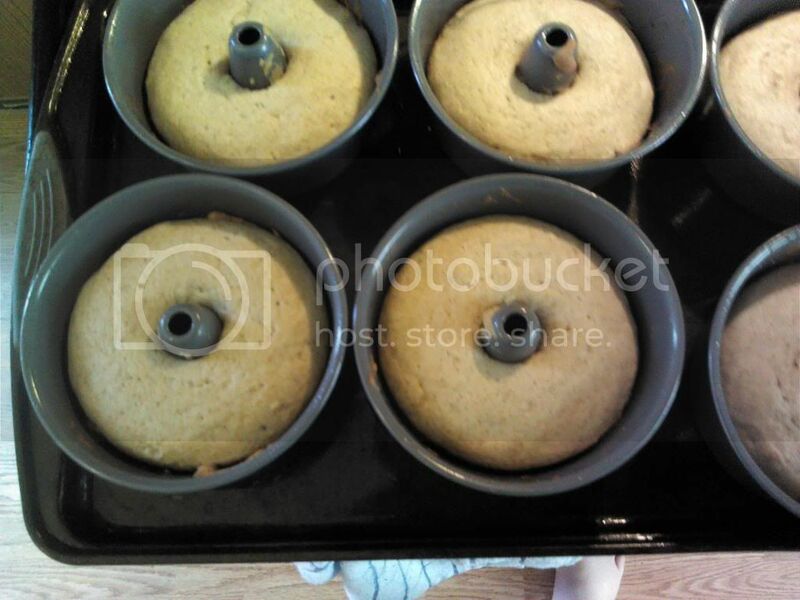 For the mini-cakes I use miniature angel food cake pans. You can use the batter with almost any shape container. If you have a thick center (more than ~ 3 inches of batter in one spot) add slightly to the baking time, longer baking makes drier doughnuts well before burning. Fill desired baking surface 1/3 to 1/2 full. I think you meant thick center not think center lol. I gather blending dry together and blending wet together seperately is what you want to do? Any idea where I can get mini angel food pans from? Yes, thank you for the typo catch. Actually, you want to do this in the order written. Having just the sugar to work with helps make mixing the butter in easy. Adding the eggs before the rest of the dry helps minimize mess while mixing. Adding the milk last allows you to control the consistency. You could, of course, mix dry then wet if you desired... you will just be far more likely to have dry spills. I found it far easier to mix dry, wet, dry, wet. I think I'll try it with the angel food pan. 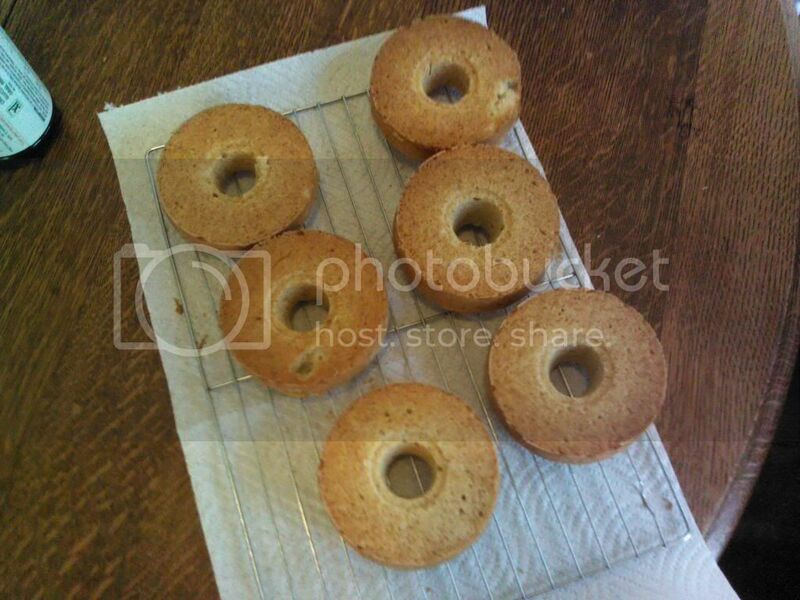 I once tried it with mini muffin pan and it came out dry and some stuck. I like the idea of keeping control of the consistency. Do you happen to use a Kitchenaid blender? I find sometimes using mine over mixes compared to mixing by hand. Strawberry jam filled sprinkled with a little bit of icing sugar sounds good too! I guess tomorrow might be a baking day! First picture is when they are done, second is the bottoms. For anyone who hasn't done much baking, look for shiny wet spots on the top, if they are still there it isn't done.